All Time Low fans in the U.K. are in for a real treat: All Time Low are actually opening for themselves on their forthcoming headliner. And what will they be playing? That's right: Their So Wrong, It's Right set. Yep, we're booking a flight there right now. Alex and Jack, our “favorite neighborhood Spidermen,” said they've seen how badly fans want SWIR sets in the U.K.
Watch their announcement below—and prepare to sing “Vegas” at the top of your lungs. Earlier this year, the band had their doubts on whether they'd be giving the record a play in full. But Alex Gaskarth said the band had seen fans asking for an anniversary tour—and thank goodness they gave the people what they wanted. Now both in the U.S. and the U.K.! “We have a lot of tours lined up because of the new record. We’ve obviously seen all of you guys asking for So Wrong, It’s Right shows and a tour and stuff like that,” Gaskarth says. They brought out State Champs' Derek DiScanio for “Dear Maria, Count Me In” at one of their U.S. shows, so we'll have to see if they have any special guests in the U.K., too… You know we'll be keeping an eye out. 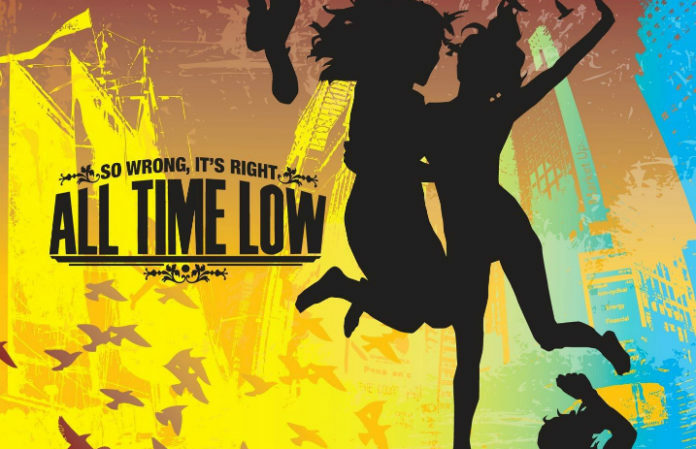 How stoked would you be to see So Wrong, It's Right performed live, followed by another full ATL set? Let us know in the comments below!